Whether you plan to use your muzzleloader rifle for hunting or target shooting, a muzzleloader scope will help improve your shooting accuracy. Muzzleloading is a great way to pass time, but if you want to perform greatly in the sport, you need to be equipped with best accessories. The best muzzleloader scope will improve your accuracy, which can lead to better performance. 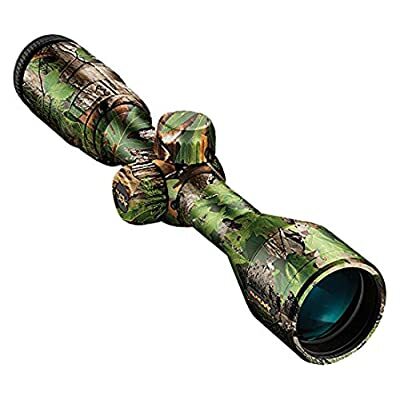 We made a list of five of the most popular muzzleloader scopes on the market today. They come with their own strengths and weakness, but one of them has truly taken the cake in terms of performance and quality. The first muzzleloader scope on our list is the Nikon INLINE XR BDC 300 Riflescope. It is designed with the Nikon’s Patented BDC 300 Reticle, which allows you to make the long distance shot in a precise manner. Moreover, the lens has been coated with different layers to allow minimal reflection. In addition to this, it allows for brighter images with better light transmission. It is also able to keep you safe against heavy recoil as it provides a generous eye relief of five inches. You can even adjust the reticle with the use of the Spring-Loaded Instant Zero-Reset Turrets. You can enjoy muzzleloading competitively as this rifle scope will allow you to enjoy better precision. It even allows for quicker focus to ensure that your line of sight will be magnified greatly. You can even use this muzzleloader scope during extreme weather conditions because it is waterproof. This has been sealed with an O-ring to ensure that no water gets in the lenses, which can end up impairing your vision. It is also fog proof as it has been purged with nitrogen. You can even use this when the light is minimal in the area. The next muzzleloader scope on our list is the NightForce 2.5-10x42mm NXS Illuminated Compact Riflescope w/ ZeroStop and MOAR Reticle. This is also one of the priciest scopes that you can find, which is why you should expect supreme performance from this muzzleloader scope. Since it uses a 42 mm objective diameter lens, you are able to view targets vividly even during low light conditions. This is because the light transmission can be been maximized fully. The reticle on this muzzleloader uses a second focal plane reticle for great focus and optimum performance. 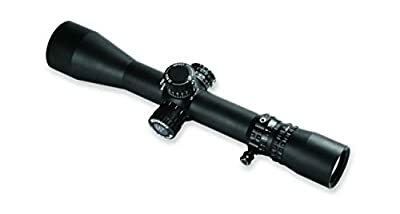 This muzzleloader scope allows magnification of 2.5x to 10x, which is quite surprising since this also comes with an adjustable parallax setting of 25 yards to infinity. With an eye relief of 3.5 inches, you are given sufficient allowance for safety in case of heavy recoil. At the minimum magnification setting, the field of view at 100 yards is at 44 feet. On the other hand, the field of view at 100 yards is at 11 feet on the highest magnification setting. It is a compact muzzleloader scope as it measures 11.9 inches and it weighs 19 ounce. 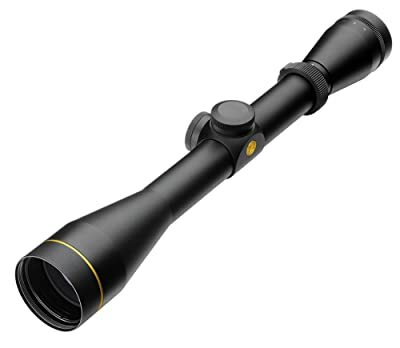 Moreover, it is made from high quality materials that allows for the supreme durability of this scope. The next muzzleloader scope on our list is the Nikon INLINE XR BDC 300 Riflescope. It uses the BDC 300 reticle, which provides crystal clear images that will allow you to shoot at a lengthier distance. 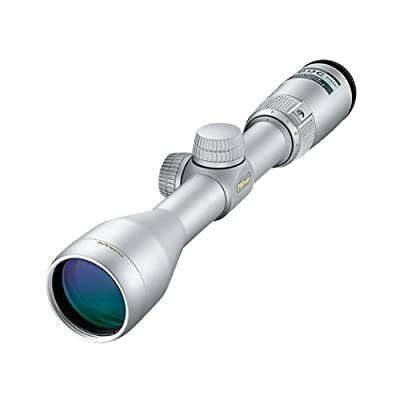 Moreover, it carries a magnification of 3x to 9x that can be adjusted easily. For a magnification of 3x, the field of view at 100 yards is 25.2 feet and a magnification setting of 9x allows for an 8.4 feet field of view at 100 yards. Additionally, it has an extremely generous eye relief of five inches, which protects you from sudden and heavy recoil. On one hand, the lens has been multicoated that allows for light transmission of 92%. The lenses were purged with nitrogen that allows you to ensure that your vision will remain clear without being blurry due to fog. Apart from being fog proof, this scope is also waterproof due to it being sealed with O-rings. You can adjust it using the spring-loaded instant zero-reset turrets and this scope is engineered to have a max internal adjustment of 60 MOA. In addition to this, the parallax setting of the Nikon INLINE XR BDC 300 Riflescope is at 100 yards. The Nikon Buckmasters II 3-9×40 BDC is another Nikon Muzzleloader scope. However, this model is made in collaboration with Buck. For optimum performance, the lenses were coated with multiple layers to ensure that there is minimal reflective compound, which keeps the images crisp and sharp. This is also designed with the BDC Reticle trajectory-compensating system that allows for accurate shots even from a distance. In terms of construction, this muzzleloader scope is designed to be waterproof and fog proof. They have been sealed with an O-ring to avoid water penetration, which means that you can use still use the scope during heavier rains. Moreover, the casing has been filled with Nitrogen to keep your vision clean. As proof of its supreme quality, this scope provides you with a limited lifetime manufacturer’s warranty. It carries a magnification range of 3x to 9x and a field of view setting at 100 yards of 33.8 feet and 11.3 feet, respectively. It carries a fixed eye relief of 3.6 inches with a parallax setting of 100 yards. 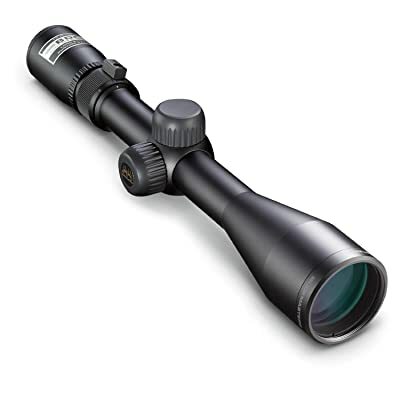 The last muzzleloader scope on our list is the Leupold VX-2 3-9x40mm Rifle Scope. It has been diamond coated to prevent scratches and peeling, while it has a matte black finish to attract minimal attention that is helpful during battles. This model is also lightweight as it tips the weighing scale at only 11.20 ounces. On the other hand, it has a length of 12.60 inches, which makes it rather compact. Moreover, it is equipped with q 110797 Reticles with an index matched lens system. This is also designed with a variable magnification setting that ranges from 3.20x to 8.80x with a corresponding field of view of 34.60 feet and 14.60 feet respectively. If you are looking at another muzzleloader scope that is not listed here, we made a list of factors that you should consider before making a purchase. Hunting can be quite tricky since you have to position yourself at a distance because you do not want to disrupt the animal with your proximity. This is why it is important to keep your distance, while maintaining a close view of the target. The first thing that you should look for in a muzzleloader scope is clarity and accuracy. It is important that images shown on the scope are crisp and sharp. The target should be seen clearly even if you are positioned far from the target. The magnification setting of the scope will be helpful if you intend to use your muzzleloader scope for long distance shooting. Muzzleloaders would need generous eye relief. If there is heavy recoil, it is important that you can still see the scope clearly from a slight distance. It is important that your muzzleloader scope should be protected from the elements. Your muzzleloader scope must be waterproof so that you can use it even if it is raining. Additionally, a fog proof lens will keep your vision unimpaired. It is also an added bonus if the scope can be shockproof to protect you from constant use. You also need to examine the durability of your scope as a flimsy scope will cause more trouble than needed. A muzzleloader scope will undergo through rough use, which is why it is essential to have a scope that can withstand constant and rugged shooting. A scope made out of cheap materials and poor workmanship will not provide you with that luxury. Finally, you should be conscious of your budget because muzzleloader scopes can come in various price ranges. And now that we have finished testing five muzzleloader scopes, it is time to declare the best muzzleloader scope on the market today. Our pick for the best muzzleloader scope is the Nikon INLINE XR BDC 300 Riflescope. The resulting images were sharp and vivid, which results to a greater view of the target. Moreover, it is made from durable materials that allows for its supreme construction. It is the perfect accessory to a game of muzzleloading, which enables you to perform better and shoot targets with great accuracy. We hope that this review has helped you in picking the best muzzleloader scope for your muzzleloader rifle.